There is a profound technological transformation taking place in the manufacturing industry. Organisations need to sustain production operations and at the same time stay tuned to the technological evolution that is taking place. In a Manufacturing Environment, a modern ERP system should support a wide range of planning methods. 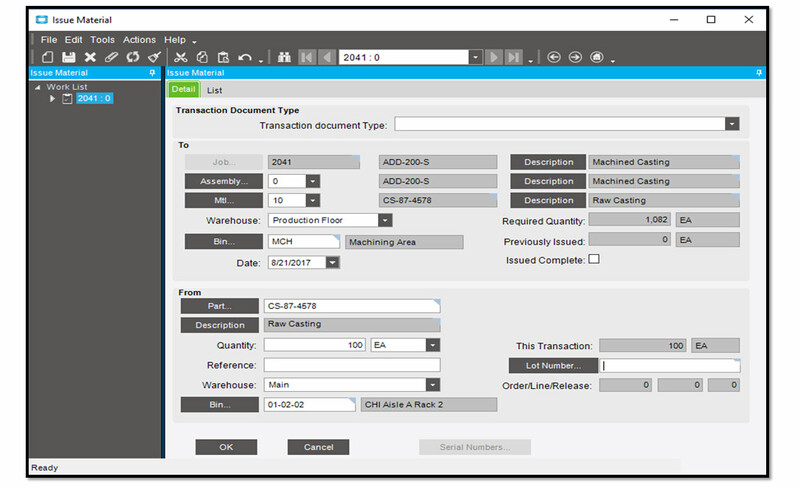 Let’s take a closer look at how technology and more specifically, an EPICOR ERP, can shape a couple of manufacturing details like the Bill of Material (BOM) and Bill of Operations (BOO). With an Epicor manufacturing software ERP solution, BOM and BOO functionalities are built within a single functionality called Method of Manufacturing (MOM). BOO however, is tailored slightly different as it is defined by a different set of operations to be performed with the limited resources allocated to it. These Operations could be internal or external, with External operations marked as Sub-contracting (with a preferred supplier and estimated unit cost, while number of days of external operation are defined at the sub-contract section). Similarly, BOM will have different materials or sub-assembly components required to manufacture the Product. A product or assembly item may be made up of certain materials or sub-assembly items and therefore requires a multi-level BOM. Epicor has the functionalities to define different levels of BOM and to calculate the cost with rollup options. There are also two scenarios in which the manufacturing activities can take place. 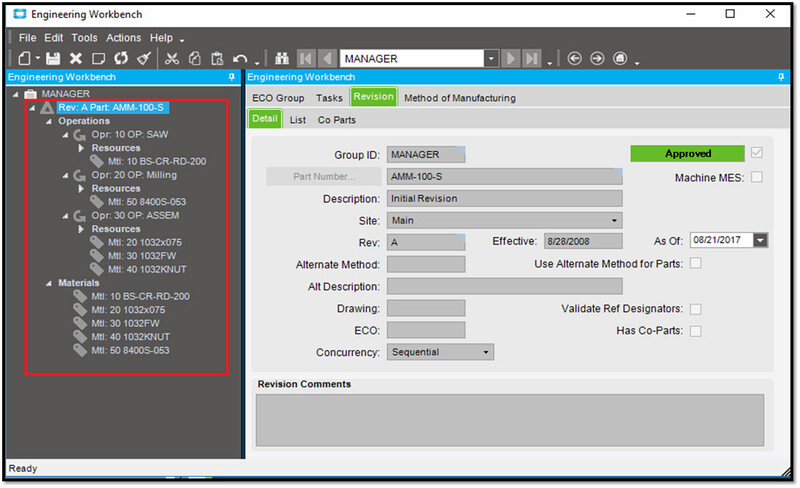 In the Engineer to Order scenario, the process begins by preparing a new BOM and BOO for manufacturing the product(s), wherein the Company will not have manufacturing details ready but the process will begin by defining it first. 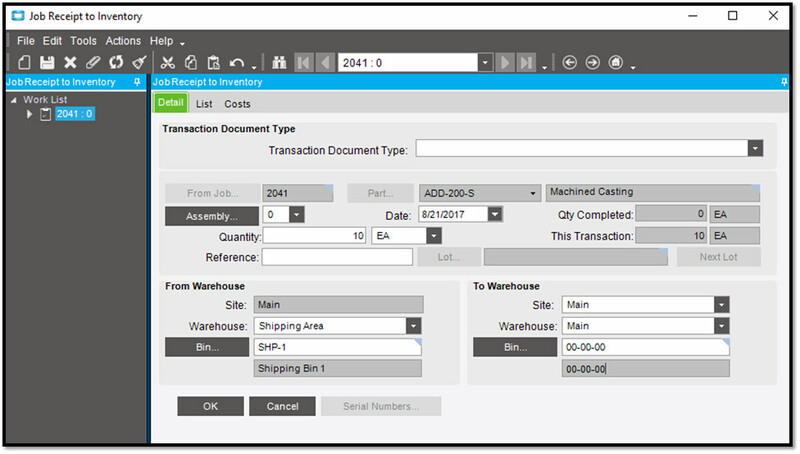 As mentioned before, with Epicor the user can define manufacturing details at the quote level, as it is important to calculate the estimated cost by considering various cost elements like Labour Cost, Burden Cost, Material Cost and other additional costs. 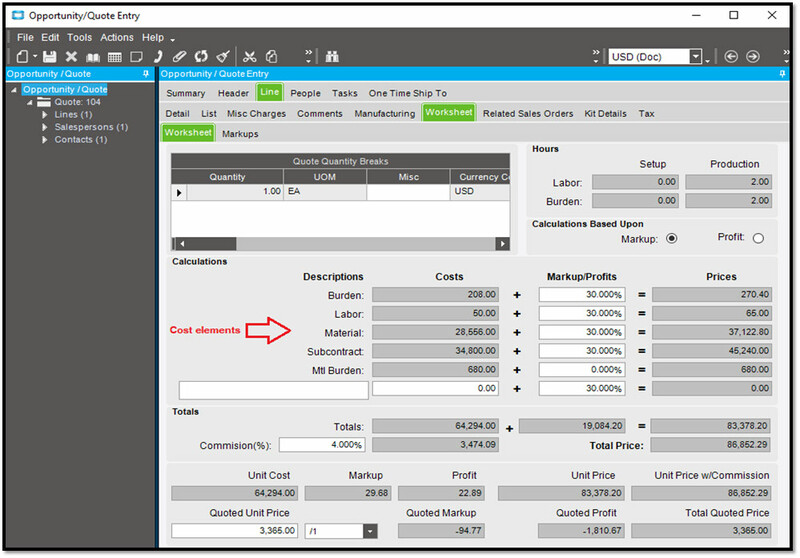 This helps the sales person to work easily on the Quote price, adding mark-up/profit to the estimated cost. In Make to Order/Make to Stock scenario, BOM and BOO details will be available with the necessary information to carry out the manufacturing activities. Once a Sales Order is created for an item, a respective Job Order will be created to fulfil the Demand. 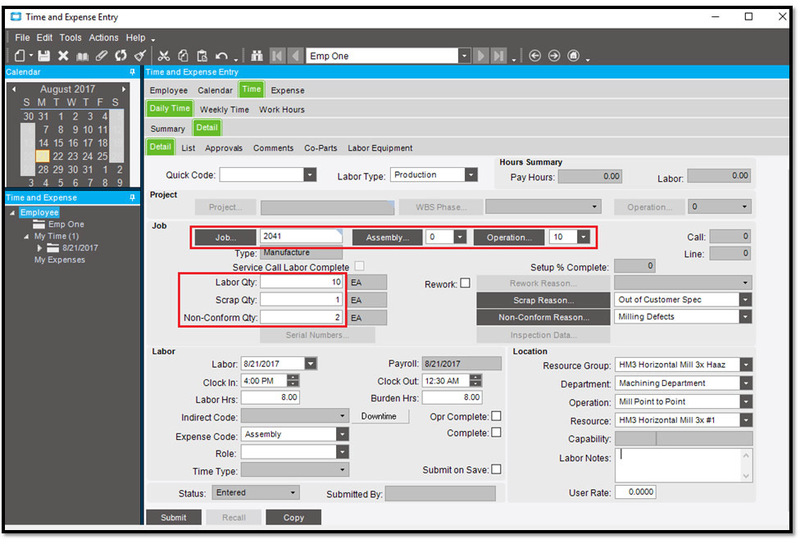 A Job Order can be created using the planning method i.e. Material Requirement Planning (MRP) or by a manual method. If a Job Order is created using the planning method i.e. 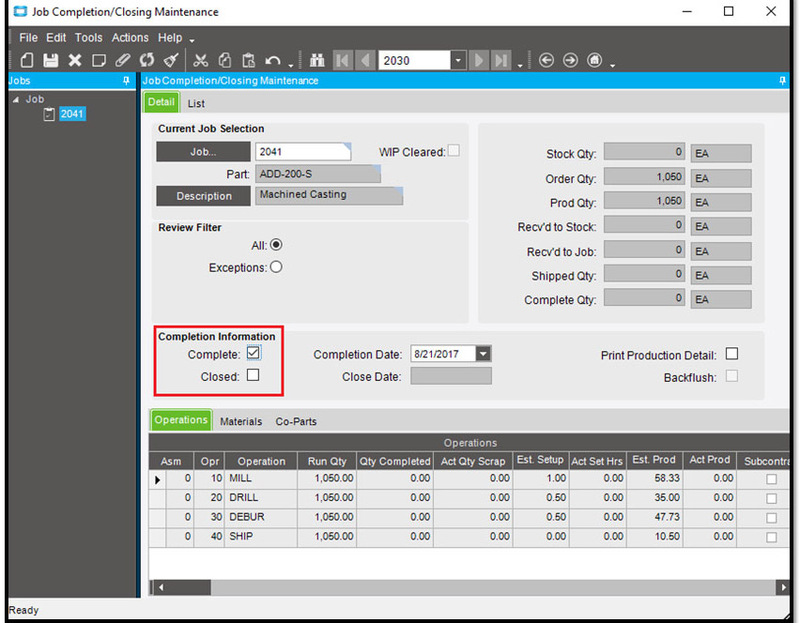 using MRP, an un-firm Job Order will be created and MRP will fetch the available manufacturing details and load the same into the created Job Order. 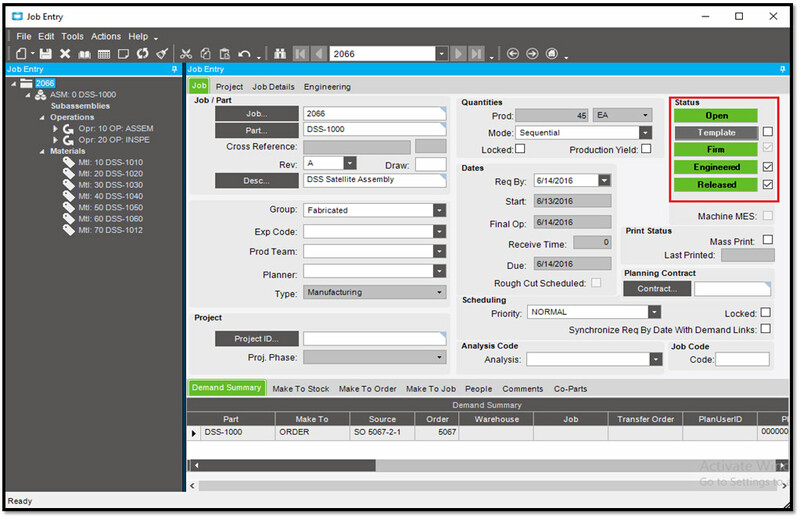 If the Job Order is created manually, manufacturing details can be added directly or called from other placeholders – Quote or Engineering Work Bench. Once the Engineering activity is completed, the job order will undergo a scheduling process, where operations will be scheduled with the respective resources assigned. 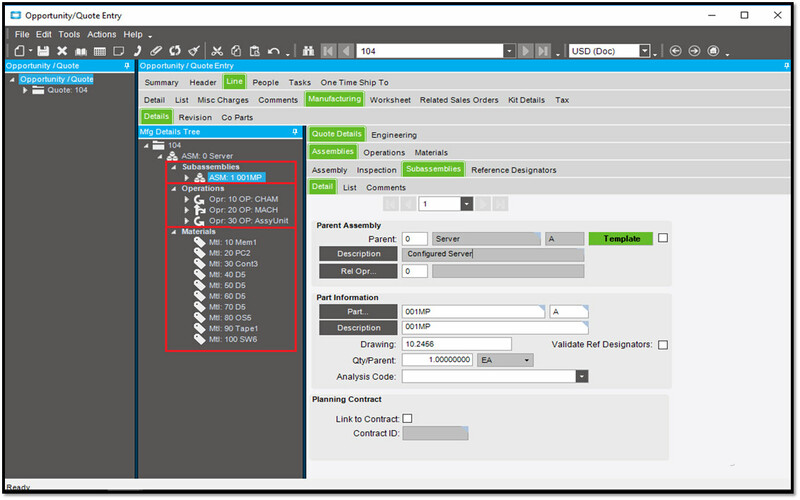 With Epicor, a user can schedule the job operations either forward or backward, and can also set the default preferred type. With Epicor, we have Scheduling options like start-to-start, start-to-finish or finish-to-finish which helps the user retrieve the resources from one operation and feed it into the next operation in the timeline. Graphical representation of Scheduling is also available with the ability to modify the schedule, based on the priority of the customer. For E.g. 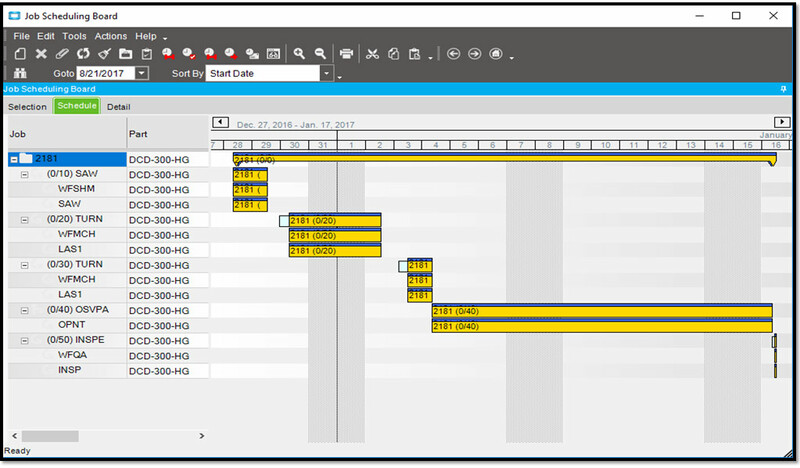 the scheduling option within Epicor helps the user work comfortably and alter the schedule when needed. Once the scheduling is done, the Job Order will be marked as Released. This is an indication that the materials required to execute the job can be issued/released and the operations can begin with the released resources (man or machine). Also, labour hours can now be entered accordingly, upon the completion of operations. There is higher financial visibility with an integrated ERP system like Epicor, from material issue to the Job Order and labour hour entry for your manufacturing operations. As one Operation can have one or multiple operations depending on the MOM definition, operations will be carried out by finally reporting the quantity produced and entering the labour hours. Reported quantities will then be moved from shop floor to inventory or to another Job Order to carry out additional manufacturing activities based on the requirement. Epicor has various functionalities to perform the movement of Finished or Semi-Finished Goods from shop floor to inventory, one shop floor to another Shop floor etc. Once, all required operations are completed, the Job Order will be marked as Completed, which will prevent the user from adding manufacturing details. However, consumption of material or Labour Hours can still be entered. Products manufactured as per the Sales Order demand, from the Job Order can also be shipped directly from the shop floor to the customer. As a last phase in the Job management, the Job Order will be marked as Closed which will prevent the user from booking any more labour hours or issuing any further material. When a Job Order is closed, financial aggregation for the entire Job will be automatically available. As described above, the benefits of a comprehensive ERP software solution are endless. EPICOR ERP system solves a number of challenges and provides invaluable benefits to manufacturers seeking to reduce costs, manage growth, streamline processes and gain a competitive advantage. EPICOR ERP integrates all areas of business (materials and inventory, production, operations and sales, accounting and finance, etc.) so that every business function relies on a single database. This “information hub” delivers accurate, real-time information crucial to the manufacturing industry.